As a boy, you pick up your felt tip, grab a blank piece of paper and settle down to draw the car of your imagination. You’re too young to get caught up in the practicalities of design, too carefree to concern yourself with safety requirements or budget constraints. The machine that starts to materialise crudely on the page has all the things that matter. Speed and style (at least to a ten year old). It’s low, long and looks fast. A pointy coupe that knows where it’s going, sharp like an arrow. You proudly sit back to admire your handy work, there’s one thing missing. A huge rear wing. 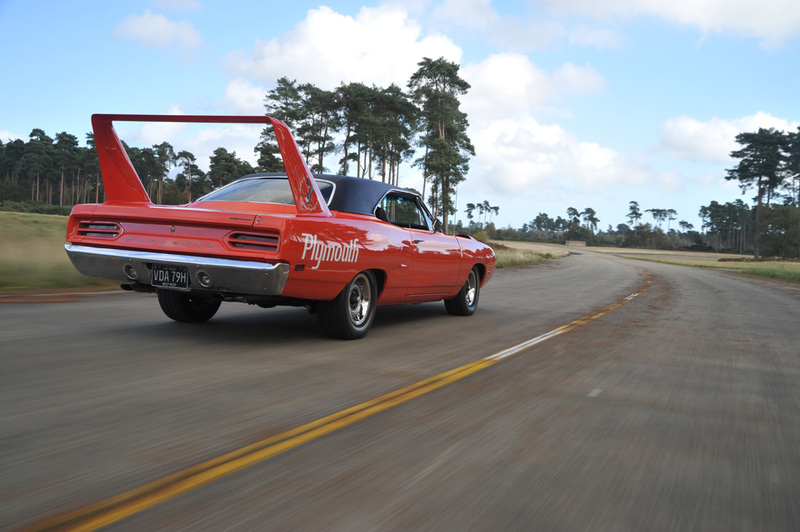 The 1970 Plymouth Superbird is the closest thing in the real world to that childhood dream. It’s not beautiful, pretty or cute. It’s just awesome. Awesome in a way a ten year old would understand. 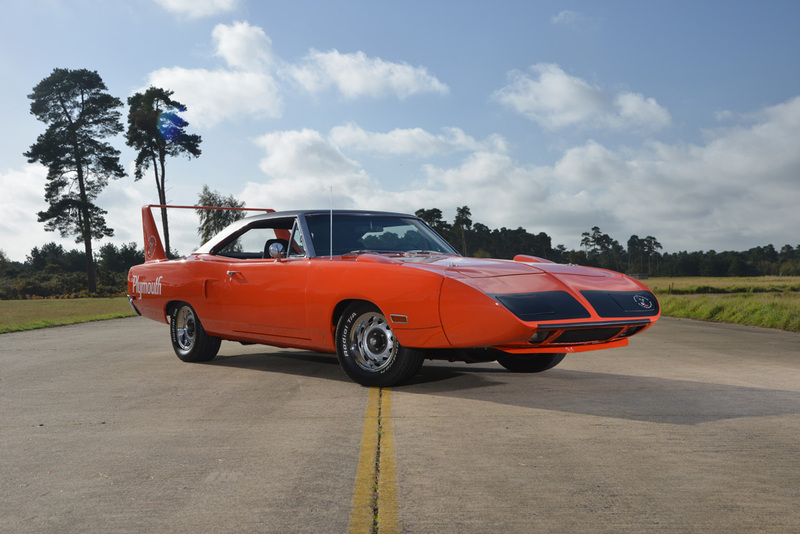 The Superbird was designed specifically for NASCAR racing. The homologation requirements demanded that race cars must be available for purchase through the manufacturers dealership network in minimum numbers. 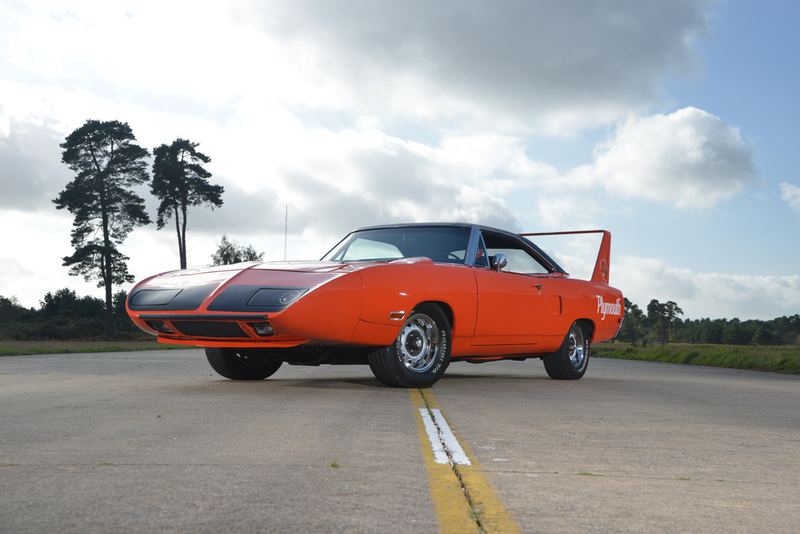 Based on the Road Runner, the Superbird was designed utilising wind tunnel and computer analysis. The designers also leant upon the learning they’d gained from the earlier wing car, the 1969 Dodge Charger Daytona. Amusingly, for years, enthusiasts mused over the formula used to decide upon the optimum height for the towering rear wing. However, in the ’90s a retired Chrysler designer revealed that the height wasn’t related to the mathematically perfect number for honed aerodynamics, but something much more practical, it ensured the boot could still be opened! 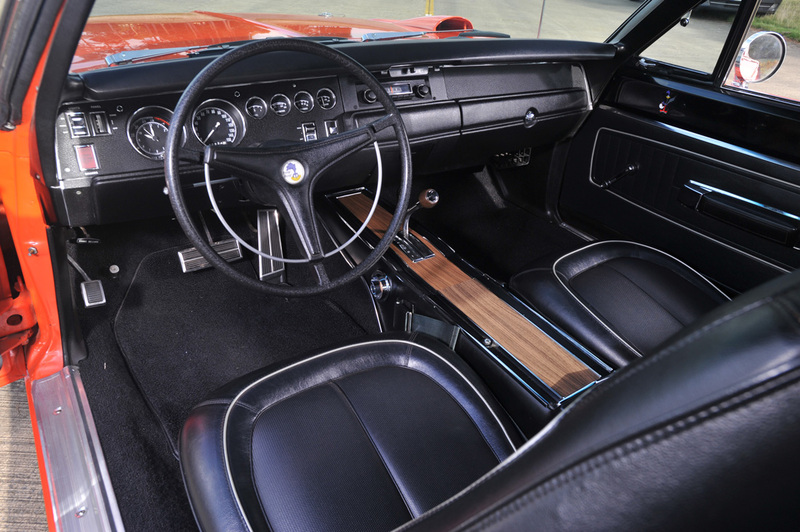 On a personal level, there has always been a special place in my car owning soul for American Muscle cars. Built in a era where the design briefs were simple, build it cheaply and ensure it can run the quarter mile in under fourteen seconds. They were promoting street racing for car crazed kids. Powerful cars that played on “manly” values and attracting women. Some of the marketing campaigns of the era are outrageous by today’s politically correct standards. In 2011 the hunt for a ‘Bird began, the specification was clear; it had to have bucket seats and be finished in Hemi Orange. The ultimate would have been a manual Hemi car, but they are seriously rare (only 135 built with a Hemi, less than a third of those manual) and rarity commands serious bucks. In early 2013 the [CarCrazedFool] Superbird was found. It came up for sale at the prestigious RK Motors in Charlotte, North Carolina. They don’t stay around for long, and not wishing to miss the opportunity, the ‘Bird was bought sight unseen. Six months later, wrapped carefully in a container, it arrived in the UK. The first sight of the car, or at least the container, was watching the ship slowly pull in to the Port of Felixstowe. After a few days it cleared customs and made its way to CARS HQ (they handled all of the shipping and paperwork, highly recommended), when the doors to the container would be finally opened. It was perfect. The paint bright, the metal work solid and all of the details correct. The felt tip drawn, bewinged and arrow sharp shaped hole in the car owning soul was finally filled.